Finding repeating key words in Bible is not an easy task. One difficult question is "How to define repeating key words?" How many times a word is repeated in the passages of your studies (e.g. a chapter, a book, or the whole Bible) before it is considered as a key word? Does the repeating key words “significantly related” to the chapter or the book in your study? In most cases, some common words like, "the", "a", "and", “he”, “she”, "his", and "her" are repeating lots of times in the Bible, but they may not be significant and shouldn't be considered as key words. However, in some cases, these common words may significantly relate to a particular chapter in the Bible. For example, the words, "she" and "her" are significantly related to the last chapter of Proverb (for detail, see repeating words in Proverb 31 ). With considering these aspects, more than 10,000 repeated words are selected from the Bible and displayed here. Hope that they can be a useful reference for your Bible reading and studies. 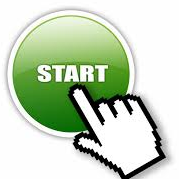 For quick start, click START below to discover repeated words in Bible.